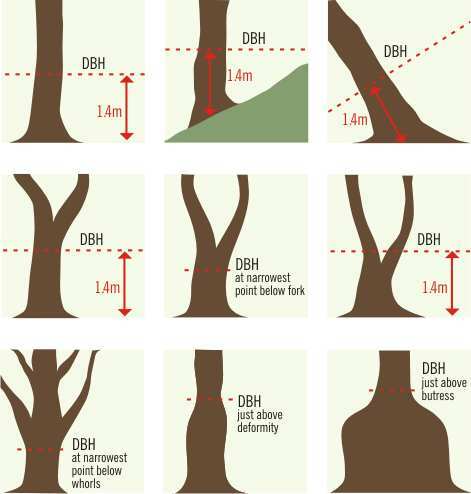 The DBH is essential for calculating the Tree Protection Zone (TPZ). DBH is normally given as the diameter of the trunk/stem of the tree at 1.4 metres from the ground. In some circumstances it is not possible to measure a diameter at this height: please see the diagrams for variations.